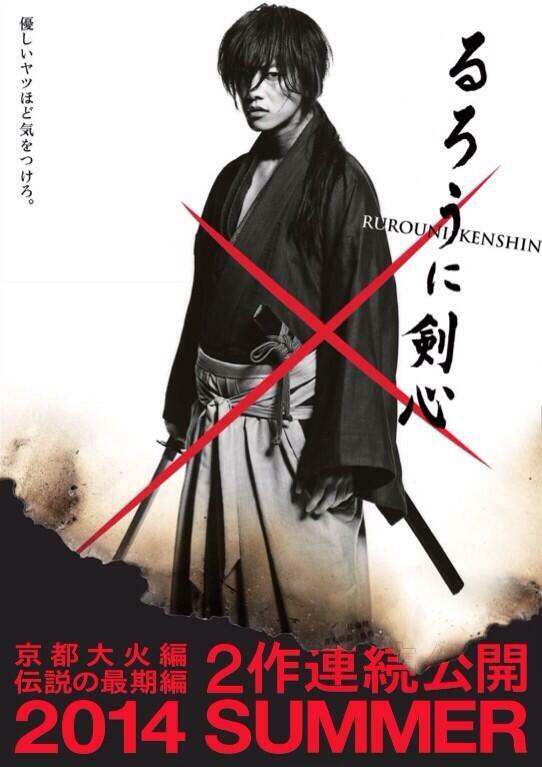 The first teaser for the upcoming sequels of the Rurouni Kenshin Live action movie has arrived. The teaser reveals that there 57 million copies of the original manga have been sold. It also states that after playing in 64 countries and 31 international film festivals, the cast and staff of the first live action movie will return for two follow-up movies. The tagline for these upcoming sequels reads :”Can you see the future? Could you prepare yourself?“. Both movies will cover the Kyoto arc from the original manga by Watsuki Nobuhiro. The first sequel will be titled “*Rurouni Kenshin: The Great kyoto fire (Kyoto Taikahen)” *and the second is titled: “Rurouni Kenshin: The End of a Legend (Densetsu no Saigohen)“. Watch the first teaser now!